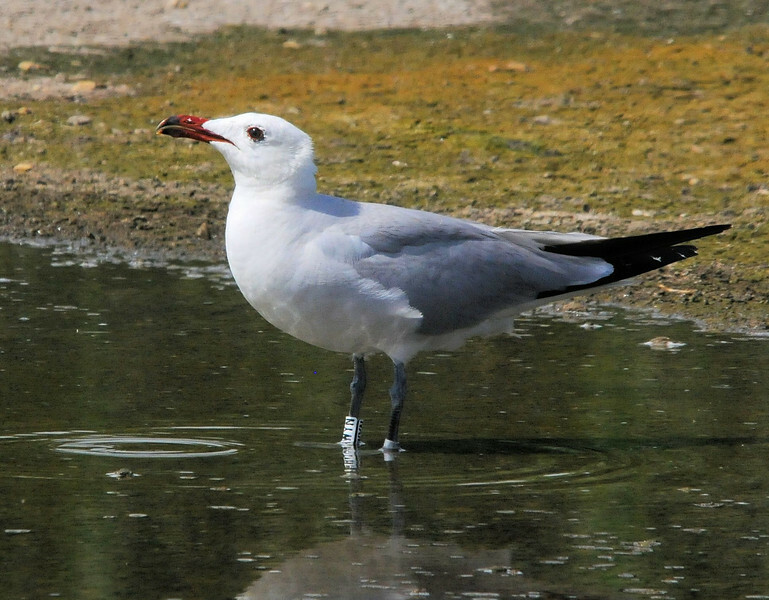 The Collins Guide says it's one of the world's rarest gulls - but easily seen south of Alicante and elsewhere in Spain. This one is at the Clot de Galvany reserve having arrived for an afternoon drink and bathe. The ring apparently is from the Coto Donana ringing programme in Southern Spain.